QIMA offers on-site inspections and laboratory testing for all kinds of clothing and fabric articles. All tests are tailored to suit the standards and requirements of your destination market, including EU Directives, Canada Statutory Orders and Regulations (SOR), and the stringent Code of Federal Regulations (CFR) used the US market. Modern textiles manufacturers use sophisticated production methods that combine various natural and synthetic fibres with a multitude of dyes and colorants. Our detailed, down-to-the-stitch inspections and lab tests cover every aspect of production and ensure your product’s quality, safety, and compliance. 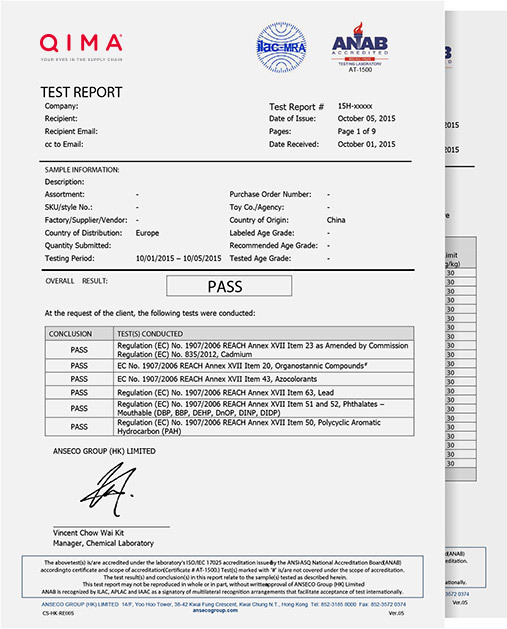 Examples of tests include: burn tests and weathering; antibacterial and antimicrobial testing; tests for banned azo dyes and colorants. Stay on top of your textiles supply chain with detailed same-day inspection reports and 48-hour turnaround on lab tests. QIMA also offers Pre-Shipment Inspection (PSI), which are performed when your production run is 80% complete, covering functionality, performance, durability, overall appearance, and dimensions. Spot any defects on the factory floor, and avoid costly returns down the line.